This entry was written by Sarah Jenkins, posted on 04/17/2015 at 11:37 pm, filed under April 2015 category. After checking out of the hotel, we boarded the bus for our first stop, one that is meaningful to the nation of Israel. Independence Hall, originally the Dizengoff House, is where David Ben Gurion declared Israel a sovereign nation on May 14th 1948. This is also where he and other Jewish leaders signed Israel’s Declaration of Independence. “Independence Hall” is located on the historic Rothschild Boulevard in Tel Aviv, Israel. Our next stop was Caesarea Maritima or Caesarea “By-the-Sea”. This was the sea port city built by Herod the Great, was a major port in the time of Jesus, and was where the Roman garrison was headquartered in the land of Israel. The city took nearly 20 years to complete construction, and served as a base for legionnaires. The restoration here is truly impressive; you can really get a sense of the magnificence of this port city. We saw several complex structures such as a hippodrome for chariot racing, a great seaport, light house, and the great amphitheater that we had the opportunity to explore. At the amphitheater, Pastor Becton shared the story of St. Peter’s encounter with the Roman centurion Cornelius. (He read Acts 10: 34-48.) This is the place where the racial barriers came down – this is where the Bible records the baptizing of the first Gentile believers! From here the gospel would travel out into the world. We also saw the ruins of one of Herod’s palaces. This was indeed a palace by every definition. It even had a large freshwater pool-right on the shore of the Mediterranean- now that’s luxury! Before leaving Caesarea, we saw a portion of an aqueduct that carried water from the mountains of Carmel some nine miles away. It’s amazing to see a structure that ‘sophisticated’ from 2,000 years ago! The other significant biblical reference to this place involves the apostle Paul who was imprisoned here before being sent to Rome. He was brought before Agrippa the Roman prefect at that time. In this very place, Paul simply shared his testimony of faith leading Agrippa to say that today he was almost compelled to be a Christian. This experience reminded us to be willing to stand in defense of the gospel, to share our testimony about God’s faithfulness in our own lives. 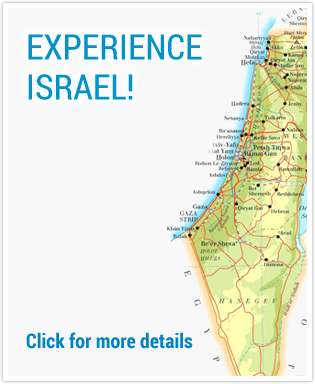 After leaving Cesarean “By the Sea” we headed up the northern coastal plain of Israel, also known as the Plain of Sharon – on our way to the mountains of Carmel. We went to the Carmelite Monastery that marks the spot where Elijah fought the prophets of Baal. The monastery has a rooftop overlook of the Jezreel Valley. As we looked down into this beautiful valley, Pastor Jenkins shared that we were seeing proof of the truthfulness of God’s written Word. Back on the bus, we made the bus ride to Nazareth, the home village of Mary and also the place of the “Annunciation” – where the angel Gabriel appeared to Mary, telling her that she will give birth to a son. (Luke 1:26-31). We were also reminded that Nazareth was the boyhood home of Jesus. We visit Nazareth Village where we are welcomed warmly by friends. This place is truly unique – it’s as a fully functional replica of a first century village. We toured the village seeing the harvesting of olives and the processing of olive oil. We also see the preparation of food (including ours). Our hosts have prepared a first century meal for us and it’s a real treat. 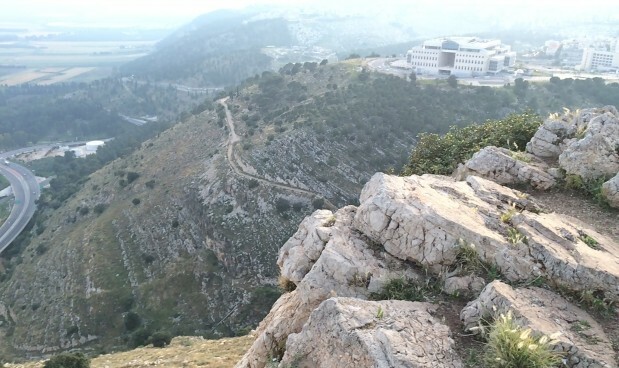 Our trip to Nazareth included a visit to a nearby precipice which provides a view of the valley of Jezreel, the town of Nazareth, and the surrounding countryside. This rocky outcropping is where many believe Jesus was taken by an angry mob in an attempt to kill him by throwing him from the cliff. We were challenged by Pastor Becton after he read from Luke 4: we are to be prepared. If those from His hometown tried to throw Jesus off a cliff, we need to be prepared for the actions of those we are close to when we share the Gospel with them.